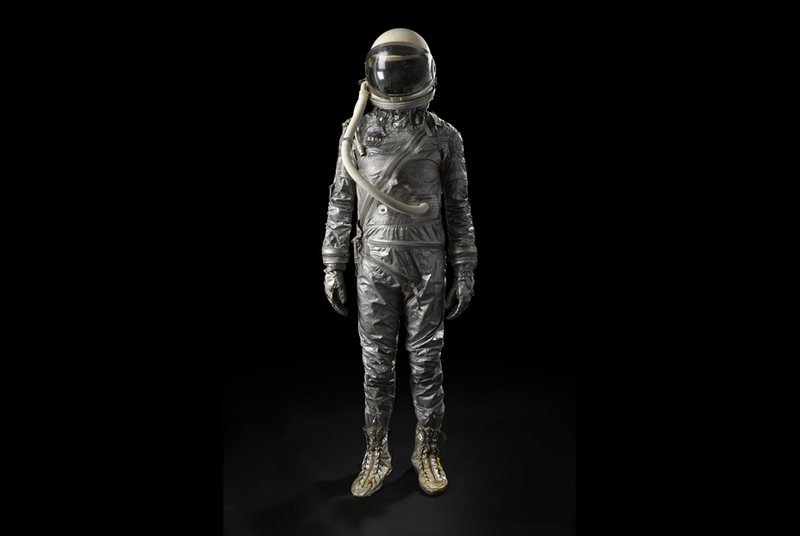 A spacesuit from the United States’ first manned flight program, Project Mercury, will be offered in the Space History sale at Bonhams on April 8 (est. $8,000-12,000). Conducted between 1959 and 1963, Project Mercury aimed to put a human being into orbit around the earth. Millions followed the Mercury flights on the radio and on television, capturing the public’s imagination while escalating the space race.